Accident insurance benefits help you prepare for the unexpected and provide an affordable way for individuals and families to be protected from the extra expenses that can come due to an accident. 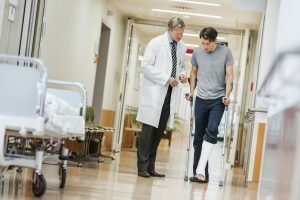 Having access to benefits and resources to assist with unforeseen expenses can help ease the burden; and this is where Accident insurance benefits can help. AWA ProtectAssist includes benefits to help minimize out-of-pocket health care expenses specifically related to a covered accident, provide cash benefits toward medical services related to a covered accident, protect finances while dealing with a covered critical illness and provide just the right amount of benefits at an affordable price. Partnered with other valuable association benefits and advocacy for small business owners, ProtectAssist is an ideal membership for entrepreneurs and small business owners looking for insured accident benefits. For more information on AWA memberships that include accident insurance benefits, please contact us here.